FALSE ALLEGATION: The State Board of Education is not listening to educators and experts and as such the SBOE should send the social studies standards back to the original review committees. FACT: The Social Studies TEKS review committees and some history experts made outrageous revisions that were unsupportable, and the State Board of Education had to direct changes or vote to return to the original content. Christmas, Neil Armstrong, Thomas Edison, Albert Einstein, religious heritage language, Independence Day, Veterans Day and Christopher Columbus were either removed completely or partially from several grade levels by the review committees. The State Board of Education members have assured concerned members of the public that these historical figures and important concepts were placed back in the standards where they had been taught for the previous 10 years. This action was based on the urging and feedback from numerous educators, experts and concerned members of the public. One “historian” even suggested Alexander Graham Bell and the Texas Rangers should be removed from Texas social studies standards. This recommendation was not adopted. FALSE ALLEGATION: The State Board of Education is making decisions on its own and not listening to educators. FACT: Numerous educators urged the State Board of Education to teach students accurately about the country’s religious heritage and American Exceptionalism. The State Board of Education voted to include requirements that students study about America’s religious heritage and American Exceptionalism. FALSE ALLEGATION: The State Board of Education is deleting minority figures from the social studies curriculum. FACT: The proposed Social Studies TEKS include more minority representation than ever before. Among the many individuals who have been added to the standards are Crispus Attucks, Jose Bernardo Guillermo de Lara, Alvar Nunez Cabeza de Vaca, Wentworth Cheswell, Francisco Coronado, Bernardo de Galvez, Juan de Onate, Adina de Zavala, Enrique Esparza, W.E.B. DuBois, Carmen Lomas Garza, Henry B. Gonzalez, Raul A. Gonzalez, Maria Mitchell, Ellen Ochoa, Jose Antonio Navaro, Irma Rangel, Juan Seguin, Erasmo Seguin, Phillis Wheatley, Lulu Belle White, Diane Gonzales Bertrand, Simon Bolivar, Bessie Coleman, Tomie de Paola, Marcus Garvey, Lydia Mendoza, Kadir Nelson, Danny Olivas, Raymond Telles and Amado Pena Jr.
FALSE ALLEGATION: The State Board of Education is eliminating Cesar Chavez and Thurgood Marshall from the standards. FACT: The State Board of Education members have not made any amendments to delete Cesar Chavez or Thurgood Marshall. The SBOE actually increased the emphasis placed on these historically significant individuals. Both Cesar Chavez and Thurgood Marshall have been made required elements of the curriculum framework. Students will study the legacy of these historically significant men in both the elementary grades and in high school, as Cesar Chavez has been added to Grade 5 American history and Thurgood Marshall has been added to the Grade 2 standards. FALSE ALLEGATION: The State Board of Education has included conservative groups in the Social Studies TEKS without listing any liberal organizations. FACT: The curriculum standards include historically significant individuals and groups from a wide array of ethnic, cultural, racial and religious backgrounds. For example, the League of United Latin American Citizens (LULAC) is required study at two different grade levels. The National Association for the Advancement of Colored People (NAACP) also is required, as is separate study of founders W.E.B. DuBois and Ida B. Wells at various grade levels. Other notable leaders such as Anne Richards, Hillary Clinton, Barbara Jordan also are included. Students are required to study various social and political advocacy positions, including organizations that promoted civil rights for African Americans, Chicanos and American Indians. Individuals who promoted civil rights, labor rights and women's rights also are included, such as Upton Sinclair, Susan B. Anthony, Elizabeth Cady Stanton, Ida B. Wells, W.E.B.DuBois, Clarence Darrow, Martin Luther King Jr, Cesar Chavez, Thurgood Marshall, Hector P. Garcia, Frances Willard, Jane Addams and Dolores Huerta. The proposed history standards include diverse individuals and groups for study at each grade level. FALSE ALLEGATION: The State Board of Education is excluding Hispanic and African American Medal of Honor recipients. FACT: The State Board of Education expects students to know the significant contributions and heroic actions of Medal of Honor recipients from all backgrounds. The SBOE added Medal of Honor recipients William Carney and Philip Bazaar to Grade 8 American history, and added Medal of Honor recipients Vernon J. Baker and Roy Benavides to the high school U.S. History course. The social studies curriculum standards specifically require that students study male and female Medal of Honor recipients of various racial backgrounds. FALSE ALLEGATION: The State Board of Education has eliminated Tejanos who fought at the Alamo. 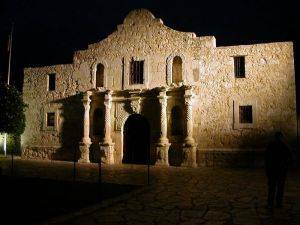 FACT: The Social Studies TEKS include Tejano leaders who fought at the Alamo. In Grade 4 Texas history, Tejanos Juan Seguin, Placido Benavides and Francisco Ruiz are required to be studied as important participants in the Texas Revolution. Lorenzo de Zavala and Jose Antonio Navarro, Tejano leaders who died at the Alamo, also are required figures in Grade 4. In Grade 7 Texas history, students again study the significant roles played by Tejano leaders Lorenzo de Zavala and Juan Seguin as they review the events of the Texas Revolution, the siege of the Alamo and the Battle of San Jacinto. FALSE ALLEGATION: Thomas Jefferson has been removed or downplayed in the Social Studies curriculum framework. FACT: Only George Washington is emphasized more heavily than Thomas Jefferson in the social studies standards. Thomas Jefferson is taught in Grade 5 American history, in Grade 8 American history and in U.S. Government. These are the same grades where Jefferson and his important legacy have always been taught, and the State Board of Education has not changed this emphasis. As the author of the Declaration of Independence, and as a strong proponent of limited government and states' rights, Thomas Jefferson is the type of Founding Father and patriot hero about whom students should learn. FALSE ALLEGATION: The State Board of Education has removed capitalism from the standards and substituted it with "free enterprise system." FACT: In Texas, students are required to study economics with an emphasis on the free-enterprise system and its benefits. “Free enterprise system” is the terminology used in the TEKS since 1998 to describe the U.S. economic system. The State Board of Education has voted to retain this term in the social studies standards. At each grade level starting in Grade 2, however, information has been added that states: “Students identify the role of the U.S. free enterprise system within the parameters of this course and understand that this system may also be referred to as capitalism or the free market system.” The SBOE will be retaining the term “free enterprise system” that aligns with state requirements. FALSE ALLEGATION: The State Board of Education has decided we no longer live in a democracy. FACT: The United States is a constitutional republic, not a democracy. The Pledge of Allegiance correctly identifies our form of government as a republic, and the State Board of Education members expect students to recite that pledge and understand its meaning. This reference to constitutional republic refers to the form of government our Founding Fathers instituted. FALSE ALLEGATION: The State Board of Education doesn’t believe students should learn about separation of church and state or First Amendment rights. FACT: Students in elementary grades, middle school and high school will learn about the important freedoms guaranteed by the U.S. Constitution, as the Bill of Rights is outlined in Grade 5, Grade 8 and again in U.S. Government. First Amendment rights are among the most fundamental we share in this country. Each of these freedoms should be studied, including the freedom of religion. Both the “establishment” clause and the “free exercise” clause are part of what students should learn when studying the First Amendment under the standards the SBOE adopted. Efforts to equate inconsistent recent U. S. Supreme Court decisions regarding religious liberty, to the thinking or motivation of the Founding Fathers, is a mistake and without support.